American security officer management technology is not as common as you might think. Some of the biggest developers and providers of guard tour and patrol management systems, utilized by some of largest security guard companies in America, store your client data in Europe, or Greece, or India, or elsewhere. An American made security guard app is not a matter of nationalism. The simple question is: Would you, or your stakeholders, be comfortable with your client security data being stored overseas? 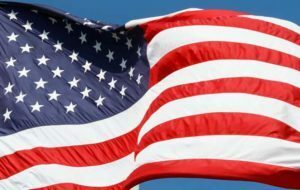 If your stakeholder is American, chances are that they are expecting an American security officer management system, using American made software, storing their data in the U.S.A.
Request a demo of this American security officer management technology! Support. How many American companies have now taken to sending their support services overseas to save a few bucks? We have all spoken with extremely pleasant individuals in India or elsewhere when we needed help with our software or other services. How pleasant the individual is—ease of understanding the accent not withstanding—is truly not the problem. The problem is: How much can someone in another country understand about American security guard management? The GuardMetrics support team is located right here in America, where GuardMetrics was formed by–and with–experts with decades of experience in security guard services. When you have a question, or God forbid, an actual issue that needs handled now, you are going to be speaking to an expert who understands American security officer management technology, because they have spent their life working in the security industry, in the USA! Contact GuardMetrics to speak with a guard management technology app expert who works in American security! The bottom line; many of you in the security guard business have served in the military or police force here in the United States of America. You know that you need to have experience dealing with incidents in your own city or state, much less your COUNTRY, to provide truly effective service to your stakeholders. GuardMetrics is here for you; figuratively, literally and physically. We have developed an American security guard management technology system, and a network of American security services, that will be a true asset to your clients, and a HUGE advantage in your arsenal of security services. 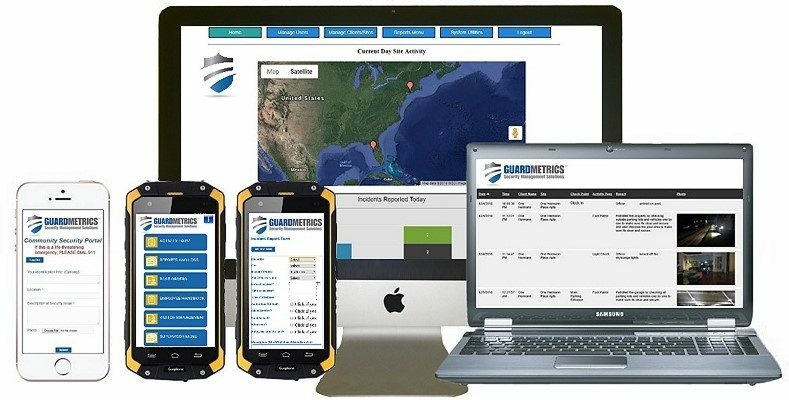 With the GuardMetrics team and American officer management system behind you–and branded to your company–operations will run smoother, and client acquisition and retention will increase due to the real-time accountability you can provide. Mobile security officer reporting, GPS guard tour and patrol tracking, affordable security guard apps and guard management technology–it’s all here and it’s all created and supported right here in AMERICA!